You might say Janet St. Paul has a ringside seat to the growth and changes taking place at a rapid clip in Austin. 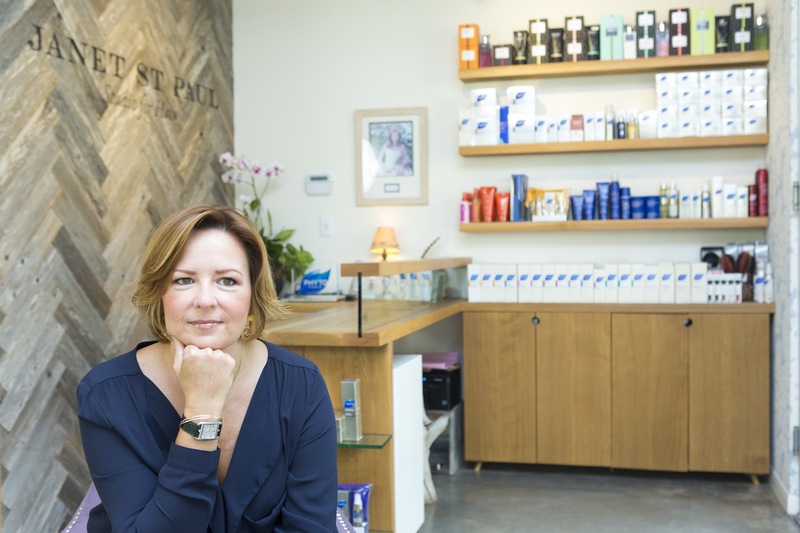 Her chic and welcoming salon on West 3rd Street, Janet St. Paul Studio for Hair, is in the epicenter of a downtown that seems to see a new groundbreaking each week. St. Paul herself has been part of that growth. After living in New York City for 16 years and working her way to what could only be described as a stellar career that earned her a reputation as one of the city’s top stylists, she and her partner decided it was time for a change. 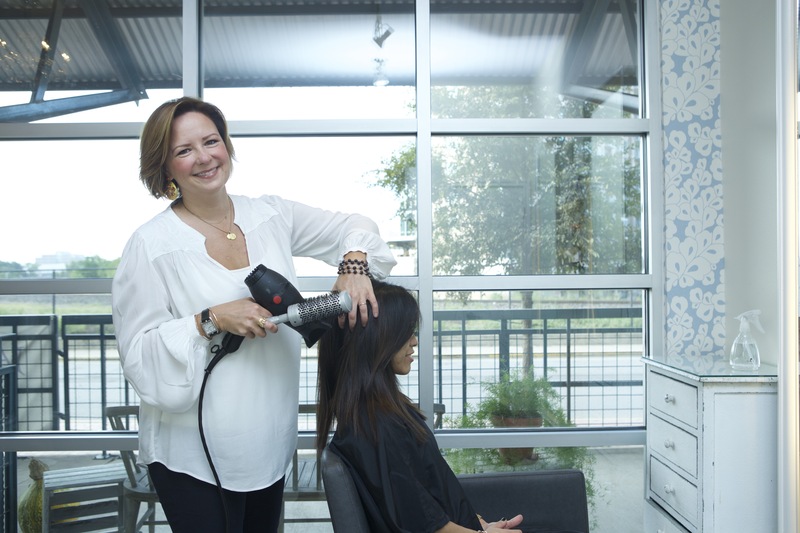 Although they opened up the new salon during the economic downturn, it didn’t take long for word of mouth to go around, making her one of the most coveted and awarded stylists in Austin. It’s not hard to see why in three short years her salon has become one of the go-to places for savvy clients. The hair styling is, obviously, one aspect of that stellar reputation. Her stylists do in-house training once a week and also go back to New York City a few times a year for training, and it shows. St. Paul and the stylists she works with strive to give clients cuts and color that are perfect for their face and their lifestyle – as St. Paul puts it, it’s like having a shirt custom-tailored, only it’s your hairstyle. But beyond the styling, the salon itself has a warm draw. Elegantly worn French-style furniture is balanced with more modern touches like rough wood paneling for a beautiful and comfortable space. And St. Paul herself lends a lot to the space, personally seeing after waiting customers by taking coats and offering beverages. St. Paul doesn’t reserve that level of care for only her clients, either. One of the reasons she and her partner, Tracy Smith, loved Austin when they first visited was its sense of community. That’s something St. Paul is working hard to contribute to. The salon has worked with clients of Lifeworks and with the Breast Cancer Resource Center (BCRC). She has donated styling and makeovers to Lifeworks clients and in December will do a “month of giving” during which the salon, and hopefully its clients, will donate to Lifeworks. During October the salon raised money for BCRC, did in-salon events, and partnered with a jewelry designer to sell necklaces, the proceeds of which went completely to the BCRC. Along with the kind nature, sunny days, and close-knit community, another aspect of Austin that St. Paul noticed right away was its growth. In the three years she’s been running the salon, she’s already seen her new hometown go through some changes. St. Paul has her own plans for growth. She’s keeping an eye out for a larger downtown home that could allow the salon to do more for clients and maybe include some retail.